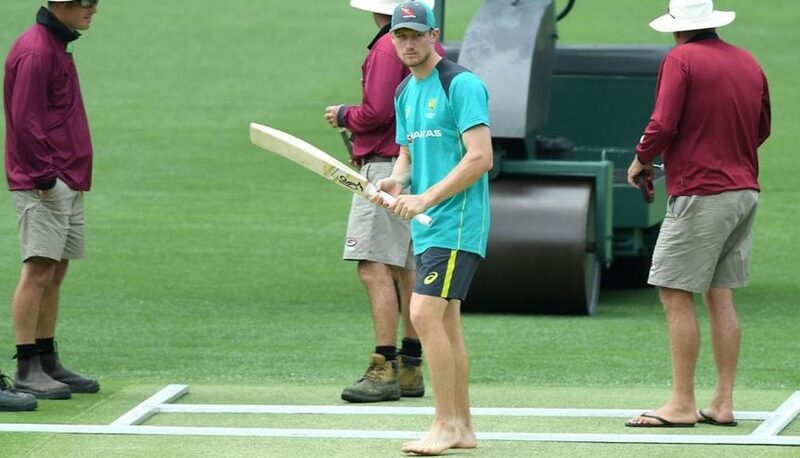 The bouncy, seam-friendly pitch at the Gabba in Brisbane has long been an unwelcome green carpet rolled out by Cricket Australia to greet touring teams to the country. A venue well loved by fast bowlers thanks to the sharp bounce generated off the pitch, the ground is a tough first up assignment for any team struggling to adapt to Aussie conditions. So tough that the Australian men have not lost a Test at the ground for 30 years. Fans on the hill in front of the iconic Adelaide scoreboard during the 1981 Test between Australia and India at the Adelaide Oval. However, strap yourselves in cricket fans, the Australian team will not be playing the first Test of the summer in Brisbane this year. The Gabba venue is ageing, and while it will host a Test in 2018/19, that Test falls later in the schedule and is against ‘lesser’ opponents Sri Lanka. Brisbane’s loss is the nation’s loss, as Australia will lose a significant psychological advantage when it opens its summer of Test cricket in Adelaide on 6 December. Adelaide is a batsman’s paradise and a ground more accommodating to Indian players brought up on the flatter wickets of the subcontinent. Since 1990 there have been 29 Tests played at the Adelaide Oval with 34,268 runs scored and 976 wickets taken at an average of 35.11. Australia has won 19 – including the last five on the trot – lost four and drawn six. Over the same time span, the Gabba has hosted 28 Tests with 30,079 runs scored and 857 wickets taken at an average of 35.09. The ‘Gabbatoir’ lived up to its fearsome reputation over that period with Australia recording 22 wins and six draws from the 28 matches. There were certainly a lot more runs scored in Adelaide than Brisbane in the past thirty odd years, but more wickets fell too, and as a result batsmen at both venues have averaged almost exactly the same over the period. The differential in runs/wickets between the venues can be explained by the number of thumping victories recorded in Brisbane. Brisbane has seen four 10 wicket wins (and one 9 wicket), and six wins by over an innings while Adelaide has had zero 10 wicket wins and four wins by an innings or more.